All The Beggars Riding is among the 5 shortlisted titles for the Kerry Group Irish Novel of the Year Award 2013, which was announced on April 17at Dublin’s Mansion House by Kerry Group’s Aoife O’Brien. The €15,000 award is the largest monetary prize for fiction available solely to Irish authors. Previous winners of the award include Christine Dwyer Hickey, Anne Enright, Neil Jordan, John Banville, Joseph O’Neill, Roddy Doyle, Sebastian Barry and John McGahern. “You are standing, face upturned to the window, breathing in the sun. I can see you, almost: if I close my eyes I can almost see you. A Thursday morning in May, 1972”. 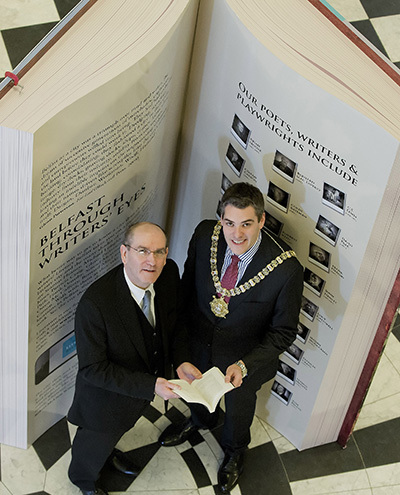 The people of Belfast are being encouraged to get reading with One City One Book which returns to the city this May. 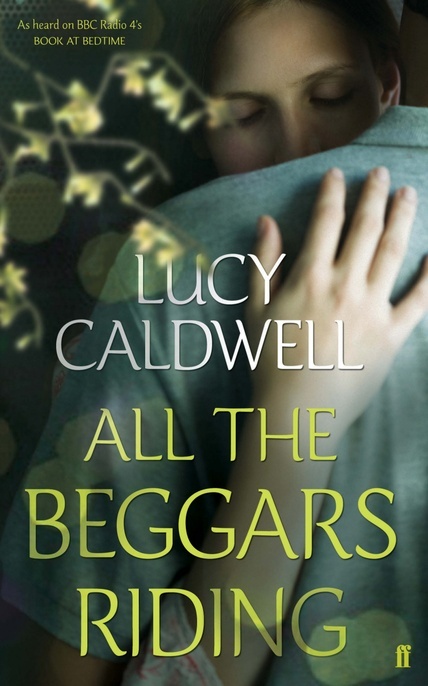 All the Beggars Riding, the latest novel by Belfast born author Lucy Caldwell, has been selected as Belfast’s second ‘One City One Book’ read and will be the focus of this Arts Council initiative to develop the art of reading and promote Belfast’s rich creativity. Narrated by Lara, nearing forty and nursing her dying mother,the chosen book is the heartbreaking portrait of a woman confronting her past. 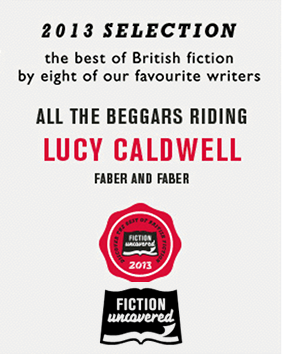 All The Beggars Riding is among the 8 titles on the Fiction Uncovered shortlist. Fiction Uncovered is a promotion which celebrates our best British fiction writers. The titles were selected by a judging panel chaired by novelist Louise Doughty, with judges Sandeep Mahal, Programme Manager at the Reading Agency, Lynne Hatwell, aka influential blogger dovegreyreader, and writer Courttia Newland. Lucy travelled to Kurdistan, Northern Iraq, with the British Council for the second Erbil Literature Literature Festival. She wrote about her experiences for the British Council. “It was the exclamation mark that said it. In the days before I left for Erbil, my emails invariably included an exclamation mark, in parentheses, after the word Iraq. ‘I can’t next week because I’ll be in Iraq (! ).’ ‘Let’s meet up when I’m back from Iraq (! ).’ I’m pretty sure there was an exclamation mark in brackets when I spoke about the Erbil Literature Festival, too, translating as, ‘Can you believe it?’ and, ‘I know!’ and, ‘Aren’t I intrepid – or maybe foolish, haha!’ A sort of nervous laugh-cough, which I didn’t realise I’d been doing. Lucy’s story “Escape Routes” was shortlisted for the BBC International Short Story Award 2012 which celebrates the best of contemporary British short fiction and is one of the most prestigious for a single short story. Clive Anderson chairs the judging panel this year which consists of novelists Anjali Joseph and Ross Raisin, novelist and Emeritus Professor of Creative Writing at the University of East Anglia, Michèle Roberts, and Editor of Readings, BBC Radio, Di Speirs. 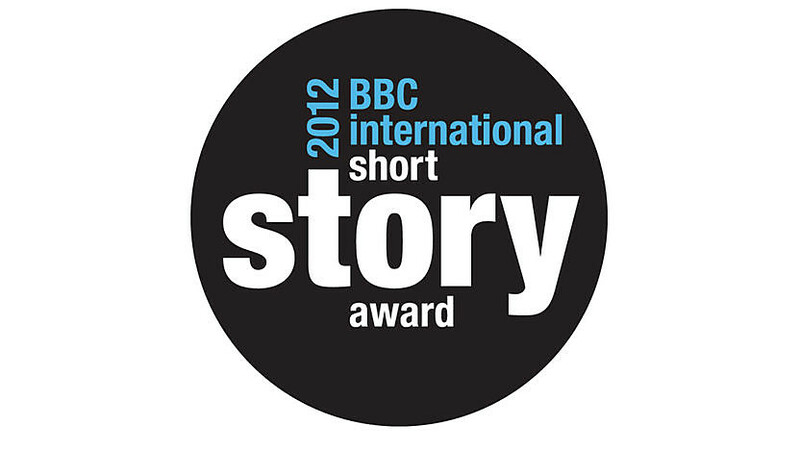 Each of the ten shortlisted stories was broadcast on BBC Radio 4 . 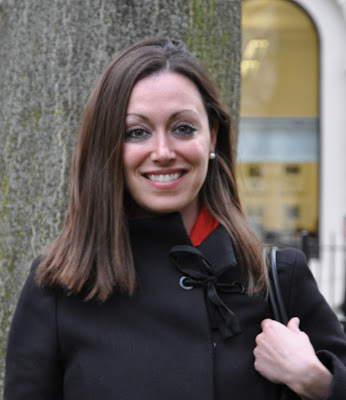 Lucy Caldwell was the 2012 recipient of a Major Individual Artist Award granted by the Arts Council Northern Ireland. 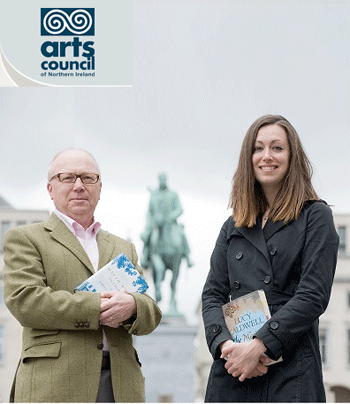 As part of The Brussels Platform Lucy and author David Park took centre stage at the Office of the Northern Ireland Executive in Brussels to read extracts from their most recent novels The Light of Amsterdam (David Park) and The Meeting Point (Lucy Caldwell). The authors read their work in front of an international audience, including MEPs and the opinion-formers amongst EU representatives in Brussels.